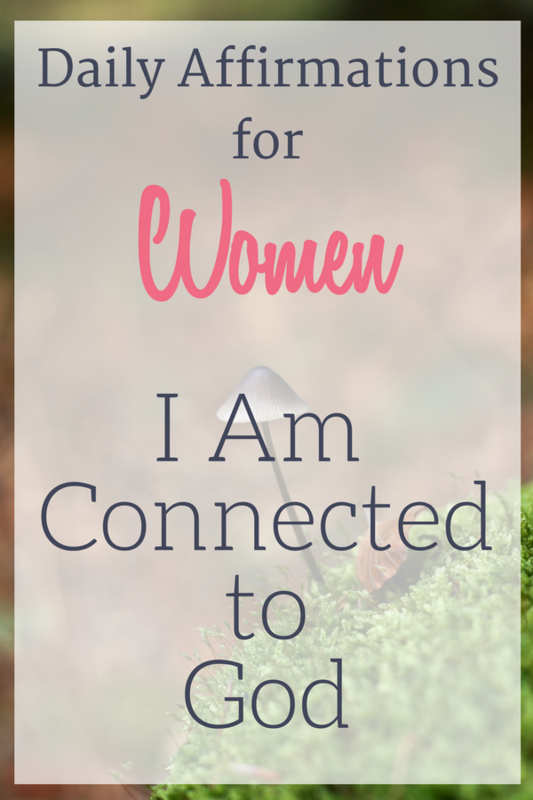 This is the third post in a series on Daily Affirmations for Women. This series takes its inspiration from a lovely book written by Elizabeth George, “Life Management for Busy Women.” The first in this series of daily affirmations for women was, “I have time for God.” These positive affirmations are pulled from a list in the book titled, “10 Disciplines for Developing a Passion for God’s Word,” so we could even consider them Biblical affirmations. Let’s get started! Ever heard of the ‘Rhythm Method’? Also sometimes called ‘Catholic Birth Control.’ Well, today we’re going to talk about it and intimacy with God. The reason I start with using the phrase ‘rhythm method’ is because in the book, Life Management for Busy Women: Living Out God’s Plan with Passion and Purpose, one of the author’s Ten Disciplines for Developing a Passion for God’s Word is is to “Find a rhythm or a pattern that fits your lifestyle.” A rhythm method for developing a passion for God’s Word. Now, typically when you hear of the rhythm method or its more recent, scientifically based counterpart, Natural Family Planning, you more often than not hear about couples using one of these methods to avoid conception. But there are many, many couples who use NFP or a loose version more closely resembling the rhythm method to achieve pregnancy. So in essence, these methods can be used to identify when a woman is more fertile. Are you still with me here? One more physical and earthly consideration before, hopefully, I can begin to turn my considerations toward an intimate connection with God. Intimacy within a marriage is important. In the Old Testament, the Lord commanded Adam and Eve to be fruitful and multiply and in the New He warns them to only stay apart for a short time for prayer. We cannot be truly intimate with someone without there being a connection. Still following? The connection of the marital act fosters an intimacy between the spouses that leads to a fruitfulness. Now, this fruitfulness doesn’t always mean children. There are many women who suffer with physical infertility but are spiritually fruitful in part because of their intimate connection to God and spouse. And when couples decide to remain separate for a time, the Scriptures make it clear this time should be for prayer. Intimacy and connection are lost, they are expressed in a differently in this way. Still with me? Now let’s start connecting the dots here spiritually. If we don’t have a pattern in place, a rhythm method in place to grow closer and more intimate with God, we will grow spiritually infertile. Some synonyms of infertile are: sterile, unfruitful, barren, unproductive, arid. We will be spiritually and maybe even emotionally and mentally dry. A caveat here. Anyone who has read anything written by St. Teresa of Calcutta knows she lived in a spiritual desert for many years, even though she intentionally stayed connected to God through a daily rhythm of prayer and spiritual reading. There are those times when no matter what we do or try, God allows a period of spiritual aridity. This is not what we’re talking about today. We’re talking about not having a pattern or rhythm to keep connected to God. Much like in a marriage, if we are just constantly passing each other haphazardly, without any plan to connect, the relationship will become dry and eventually die. The same happens in our relationship with God. I just read a great article that ties in perfectly here–thank you Holy Spirit! The Universal Path to Life-Giving Routine makes an excellent case for routine–a pattern or rhythm like we’ve been considering. “Things we do repeatedly – even questions we ask ourselves on a daily basis – get more mental priority than one-off thoughts, ideas, or commitments. Our brains work in the background on things we repeat.” I love this quote so much because I immediately thought of all the places in the Psalms where the author mentions meditating on God, His wondrous deeds, His faithfulness, His commands, etc. The more we think about God, the more mental priority our brains will give to thoughts of God. Also and along those same lines, years ago when I was seriously struggling with my mind I read somewhere that frequent thoughts form grooves in our brains. They literally form little ruts in our brain that make repeated thought processes easier and faster. You don’t need science to prove this, surely you already recognize this or at least do now once you think about it. So if we think obsessive-compulsive thoughts, little obsessive grooves are formed. But if we start combating those nasty thoughts with daily affirmations and thoughts of God, brand new happy, holy grooves will be formed! Let me quickly address one objection. Many will say, “There’s no way I can create a rhythm method for my prayer time. Have you seen my life?” And I get that. If you caught one of my recent Instagram Stories, it was in the afternoon before I got to my ‘Morning’ Bible reading and I was already a couple of days behind. I can’t blame this on babies not sleeping through the night or early morning carpool or work. It was soley a result of me getting distracted by Facebook. My morning time just doesn’t always happen like I think it will. Some mornings this is entirely my fault and other mornings things just happen out of my control. But because I have a rhythm or a pattern, I get back to it when I can, even that’s not until afternoon or night. I also shared a post a while back, 3 Ways to Spend More Time with God. In it, I mention the utmost importance of spending one-on-one time with God every.single.day. Remember, these affirmations are an encouragement when we’re struggling and a battle cry when we’re being attacked! The more we say them, the more we live them, or should I say live up to them. Pick an affirmation a day, or a couple a week to keep on your lips and in your heart. So what are your thoughts on this daily affirmations for women post? Get it? Followed along smoothly or got tripped up in a spot or two? One more thing, one of my favorite printables I’ve ever designed and which hangs in our bathrooms is a daily scripture affirmations printable reminding me how important I am to God. Click here to get your free printable. Good reminder and perfect timing for me. My rhythm was disrupted by flu 2 weeks ago and I still haven’t regained it. I resolve to get back into the rhythm today (this evening is my usual time). Thank you! God bless you! Ugh the flu! But yay for being determined to get back into your rhythm! Oh no, I get it. I need it. And it really is important, if at all possible, to be first thing because giving our first fruits to God makes a huge impact on our days. How about the daily scripture verses on a phone, daily missal or other pocket size bible or devotional while we are still in bed? A little bit goes a long way and then later, we can spend additional time in His word. Now, I’m off to get my “grove” on. Lol. Good thoughts are cultivated. I love your simple ideas to get started off on the right foot. Even if we can’t “read” our Bible in the morning, we can quickly get a verse in using our phone like you mentioned! Or post-it notes are a favorite of mine. I like the idea of sticking a post-it note by my bed or on my mirror. Lol, I meant “groove”! But oranges do sound nice. I’ve got to get some post-it note pads for sure.